The two Centres of Excellence at the Faculty of Theology – Changes in Sacred Texts and Traditions and Reason and Religious Recognition – are characteristically interdisciplinary. Thus, the research conducted should not only be of high quality within specific disciplines, but also reflective of cooperation that breaks down boundaries between fields. Having both of these goals as our aims, we should strive to deepen and broaden our notions of, for example, historical phenomena, philosophical concepts, or the meanings of “holy scriptures” within ever-changing religious traditions. While people working in these giant research centres keep themselves busy, the paths of the centres may not easily cross. Challenges of interdisciplinary cooperation are felt within both research environments. And yet, there are plenty of questions that could bind them together, not least in the field of biblical studies. As many other boundaries that have kept scholars apart, so is the one between the centres: imagined and contingent or, to say the least, well worth crossing. Elisa’s postdoctoral project focuses on the formation and lifestyle of a wise person in Hellenistic Judaism; within the CSTT, she has primarily collaborated with the team studying various changes in late Second Temple Judaism. Anna-Liisa, in turn, interprets biblical reception and circulation of narratives from the books of the Maccabees up until early Islam; her doctoral thesis contributes to the RRR research team that attempts to re-evaluate and reinforce the importance of non-conflict driven paradigms in the study of ancient religion. Differences in respective fields or methods of research has not prevented us from searching for and formulating new questions together. Recently, this cooperation has materialised as co-authored articles, a related conference paper in EABS Leuven and, last but not least, as a course taught in the Helsinki Summer University. 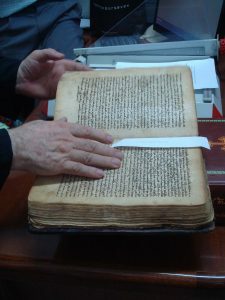 Abound Shm’oun, a living scribe who copies Syriac manuscripts. We first found common grounds in the text known as 4 Maccabees. We set ourselves to find out how the author conceives of himself as an intellectual of his time. How, then, does he fashion scriptural examples? What makes these examples philosophical and exemplary as they are claimed to be? Those curious to know our answer may find it – with descriptions of some rather usable examples – in our article “Reason and Emotions: Life Management according to 4 Maccabees” (published only in Finnish “Järki ja tunteet: elämänhallintaa Neljännen makkabilaiskirjan mukaan”, Teologinen Aikakauskirja 121/1 : 6–19). 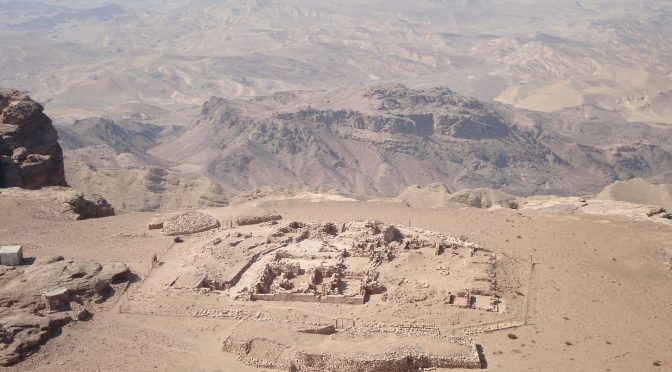 Our joint project on 4 Maccabees has increased our interest in early interpretation of scriptures in connection with ancient commentary culture(s). In August 2016, we offered a course – lecturing together, as well as to each other! 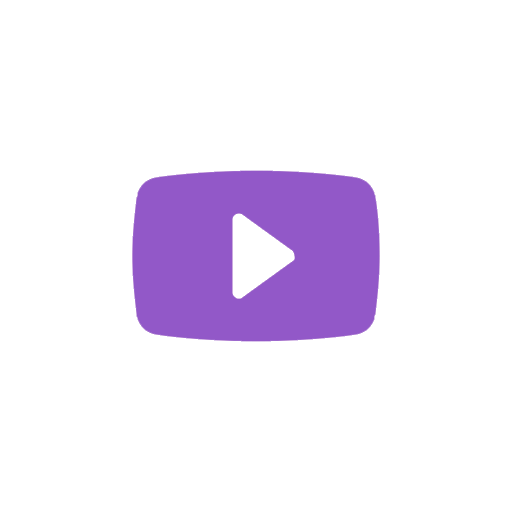 – on “Holy scriptures: Interpretation and commentary in early Judaism, Christianity and Islam” (12 hours) in the Summer University. This course was offered for students of theology, religious studies, and history. In four thematically organised sessions, we shared our views and visions on the development of ancient commentary practices, the use of figures as an interpretative means, and the importance of landscape as a frame for scriptural interpretation.